Ehrlich • Pledger Law, LLP, provides quality, experienced representation in all aspects of oil and gas law and mineral rights leasing. Based in Bakersfield, California, our law firm counsels small and medium-sized oil and gas companies, mineral rights owners and other clients with leases, minerals rights, and producing properties located throughout the state. Our oil and gas law practice focuses on services for oil and gas producers and mineral rights owners. For oil and gas producers we handle all transactions, landowner disputes, disputes among oil companies, and administrative issues with the Division of Oil, Gas and Geothermal Resources. We represent mineral rights owners in matters pertaining to mineral leasing transactions and disputes, title issues, and surface use compatibility issues. We also handle quiet title actions, title reviews, energy law matters, and real property and real estate litigation matters. 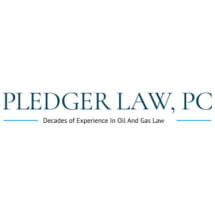 At Ehrlich • Pledger Law, LLP, our primary focus is and will continue to be oil and gas law. We are one of the few, independent oil and gas law firms in the area, particularly that cater to small to medium-sized oil companies. Our attorneys, Melvin L. "Mel" Ehrlich and Jean M. Pledger, understand the oil and gas business and the needs and concerns regarding mineral ownership. Attorney Ehrlich has been practicing law for more than 35 years and formerly worked for major oil companies. Attorney Pledger has more than 14 years of experience and has extensively handled both oil and gas and real property disputes. Both lawyers have an excellent reputation for honesty, integrity, experience and a dedication to fulfilling their clients' legal needs. Contact our firm for knowledgeable advice, individualized solutions and personal attention from a law firm that gets results.